A handsome, sixty-something Kansas sheriff, Jesse Smith, pulls over a 1955 pink Cadillac for speeding. No sooner has the sheriff sent the driver on his way with a speeding ticket and a warning—when something about the caddie begins to bother him. He has an eerie feeling that the car he stopped might be none other than Elvis Presley’s pink Cadillac—one of the most famous 50s icons in the world! As luck and timing would have it: because his computer was down that day, Sheriff Jesse was unable to run a search on the vehicle. Not that it would have mattered: the Caddie’s driver, J.J. Fitzgerald, one of the slickest automobile ’specialists’ on the planet, had covered all of the bases. 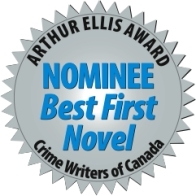 What do this southern sheriff, the car thief disguised as an Elvis impersonator, the Japanese Yakuza, the Mafia, a locked metal briefcase, a couple of beefy goons and a washed-up investigative journalist on the brink of a major breakthrough…all have in common? 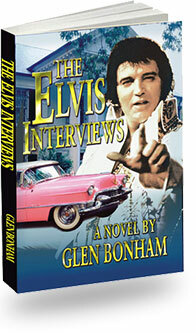 Hop aboard the rollicking roller coaster ride of Glen Bonham’s new novel, The Elvis Interviews , and hang on! In these riveting pages, fact and fiction collide to bring you a ‘must read’ novel for any Elvis enthusiast who has ever asked themselves that burning question…could it be possible?